The Illawarra Museum collection is held in the first purpose-built Post and Telegraph Museum in Wollongong (1882-1892). The Museum operates on a voluntary basis. 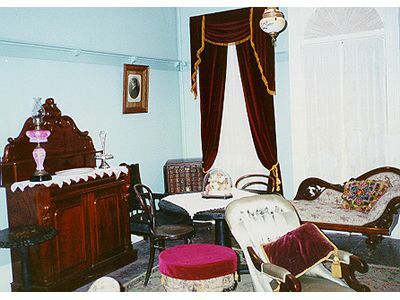 The objects collected and displayed relate to Illawarra's past with particular emphasis on the years at the close of the 19th Century. The Society has a collection of over 9,000 photographs in custody of Wollongong City Library and has also published many books on local history. The collection presents a picture of pioneer life including settlement, education, agriculture, mining, transport and trade. The entrance room features a magnificent cedar Post Office counter and a video portrays the lifestyle and times of an early Postmaster. Historical Publications and Spoons for sale, brochure available. In excess of 4000 items plus more than 9000 photographs merged with Wollongong City Library Collection. 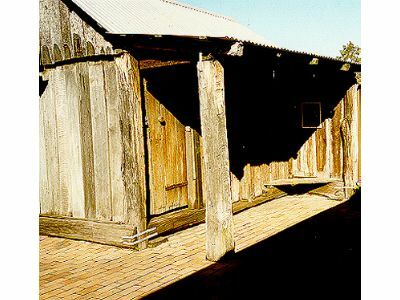 Hut re-erected at museum using timber slabs, part of original homestead on "Exmouth" - demolished 1880 - timber used on farm buildings since then. Richard Brook's "Exmouth" grant of 1300 acres, first five land grantees in Illawarra. Original piece of furniture from Harbour Street house in Wollongong. Ethel Roberts, born 19.8.1887, last of eight children. Her father was killed in the Bulli mine disaster five months after her birth. She married William Roberts in 1904. 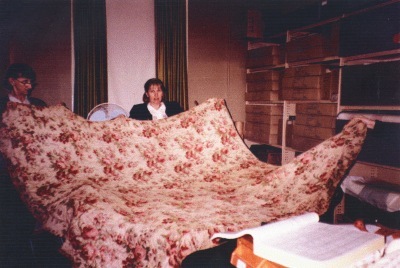 This particular quilt is a utility type made on scraps of old material. It is listed in the National Register. 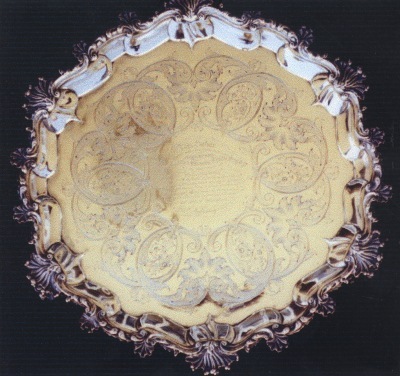 The salver was presented to Charles Throsby Smith Esq JP by the inhabitants of Illawarra as a mark of their esteem and respect for his urbanity and kindness of heart manifested during a long residence amongst them and as being one of the pioneers in proving the value of that district. 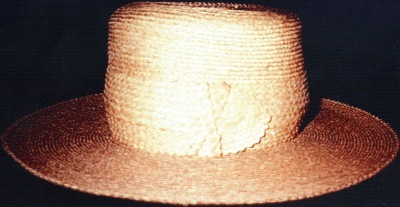 This hat was made for Albert Denniss, nephew of Mrs Hurry. The leaves were stripped from the palm hands, boiled, bleached and dried in the sun. They were then split into lengths and widths suitable for fine plaiting.